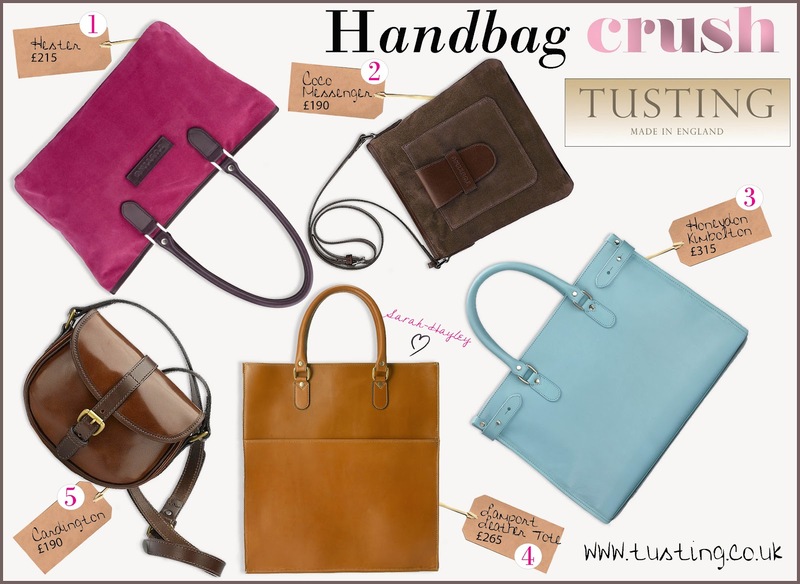 This months Handbag Crush are all from the Tusting, Made in England, collection. Tusting a family firm, located in the beautiful countryside has been tanning, grading and trading the world's finest leathers for over 130 years, the results are these easily covetable handbags. At the moment my passion are tote bags and the Lamport is one of my favourites. This made-to-order shopper is perfect for any occasion. I adore the smooth lines and the no-frills features, it is minimalist chic and the design works wonderfully. In the media we seem to concentrate on providing repetitive attention on the big brands, or smaller brands which are stocked in big stores! Although these names create desirable collections we have a duty to support and cherish our independent heritage companies. The craftsmanship at Tusting is faultless, I love the rich qualities of the leather, the classic shapes of the bags and their commitment as a family to meet the demands of their customers. Happy Shopping!